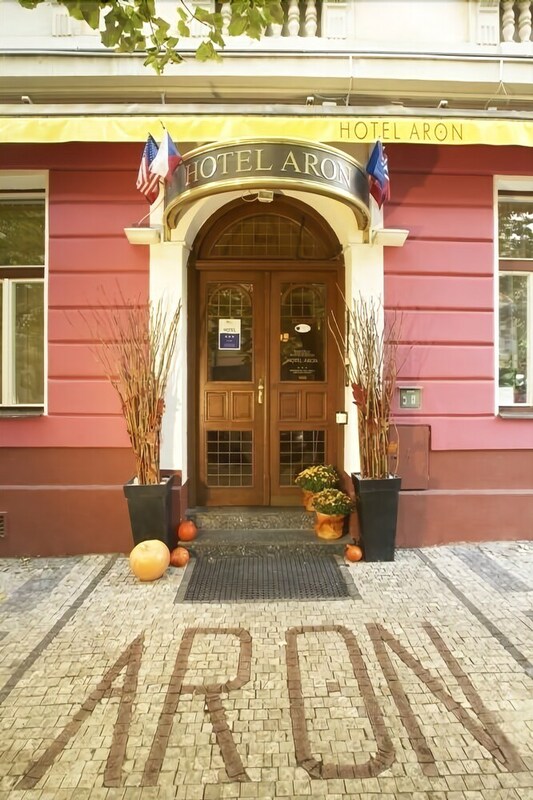 With a stay at Hotel Aron, you'll be centrally located in Prague, within a 15-minute drive of Wenceslas Square and O2 Arena. This hotel is 2.9 mi (4.7 km) from Dancing House and 3.3 mi (5.3 km) from Old Town Square. Make yourself at home in one of the 49 guestrooms. Cable television is provided for your entertainment. Private bathrooms with shower/tub combinations feature complimentary toiletries and hair dryers. Conveniences include desks and blackout drapes/curtains, and housekeeping is provided daily. Enjoy a meal at Restaurant Aron or snacks in the hotel's coffee shop/café. Quench your thirst with your favorite drink at the bar/lounge. A complimentary buffet breakfast is included. Featured amenities include limo/town car service, a 24-hour front desk, and multilingual staff. A roundtrip airport shuttle is provided for a surcharge (available 24 hours), and self parking (subject to charges) is available onsite.